I’m teaching a graduate seminar called Periodization. We have been reading critical and theoretical texts addressing the content, history, and politics of the periods in which English literature is conventionally studied. These include medieval, early modern, Romantic, Victorian, antebellum American, post-1945, and so on. Midway through the semester, one of my students pointed out that an awful lot of our texts are from the late 2000s and early 2010s. Jacques Le Goff’s Must We Divide History into Periods? (in French, 2014; translated into English, 2015). Ahead of the curve were David Aers’s “A Whisper in the Ear of Early Modernists,” in Culture and History, 1350-1600 (1992); William A. Green’s very helpful overview essay, “Periodization in European and World History” (1992); the collection The Challenge of Periodization, edited by Lawrence Besserman (1996); and Dipesh Chakrabarty’s Provincializing Europe (2000; reprinted 2007), which frames the problem of periodization within the problem of Eurocentrism in historical scholarship. Green and Chakrabarty are historians like Le Goff, and historians have a longer history of discussing this topic. 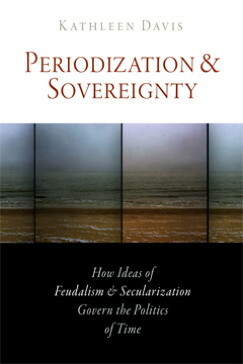 Green’s title echoes Dietrich Gerhard’s “Periodization in European History” (1956). Aers and Besserman, like Simpson, Davis, and Le Goff, represent medieval studies, which for obvious reasons has led the conversation on periodization. This is also specifically a University of Pennsylvania phenomenon. David Wallace, Margreta de Grazia, and Ania Loomba, who teach in the English department there, were all involved in the JMEMS cluster. University of Pennsylvania Press published Davis’s book. I was in graduate school in 2009-2014, so perhaps the chronological clumping in my syllabus is partly attributable to my formative reading during those years. But I think something more than that is going on. As a field, we appear to be exiting a phase of intense scrutiny of periodization. Not much literary scholarship worrying out loud about this topic had existed before 2000, and perhaps not much will appear after 2020. Somewhere in the late 2000s, periodization even became trendy, which is the only explanation for the English Institute’s decision to focus on it in 2008. What’s surreal about this pattern of research production in literary studies is that “periodization” has come and gone without any appreciable effect on English department curricula or hiring practices–the intransigence of which has become a trope in our writing on periodization (as in this blog post itself). We have noticed the chronological boxes we’re working in, but we have largely stayed inside the boxes. There are two honorable exceptions: queer theory, and American studies insofar as it operates as an area studies. What was “periodization” (2002-2015) about, if it wasn’t about revising our institutions or improving our scholarly practice? Underwood’s book can help. Writing at the tail end of the “periodization” phenomenon, Underwood argues that defenses of periodization aren’t really defenses of periodization. They are defenses of a social institution, of a particular attitude to the past that has been very prestigious in literary studies since (he claims) the 1840s, and for which the traditional periods have always felt like unusually suitable vehicles. This seems right to me. Evidently, in the 2000s and early 2010s literary scholars became a bit more comfortable publicly challenging these social institutions–but not comfortable enough to change them in any way! Jameson writes, “We cannot not periodize” (29). But Davis writes, “In an important sense, we cannot periodize the past” (5). I’m not sure where to go from here. I have always been interested in this topic, which strikes at the heart of historical study. There’s a contradiction inherent in our belatedness as readers, our desire for an encounter with a past that obviously did not understand itself to be past. My first book was on poetic meter and Old English/Middle English periodization. I’m writing a second book about meter and medieval/modern periodization. The political and institutional problems involved with traditional period categories haven’t gone anywhere, and so I’ll risk being the only person in the room still talking about periodization in the 2020s.